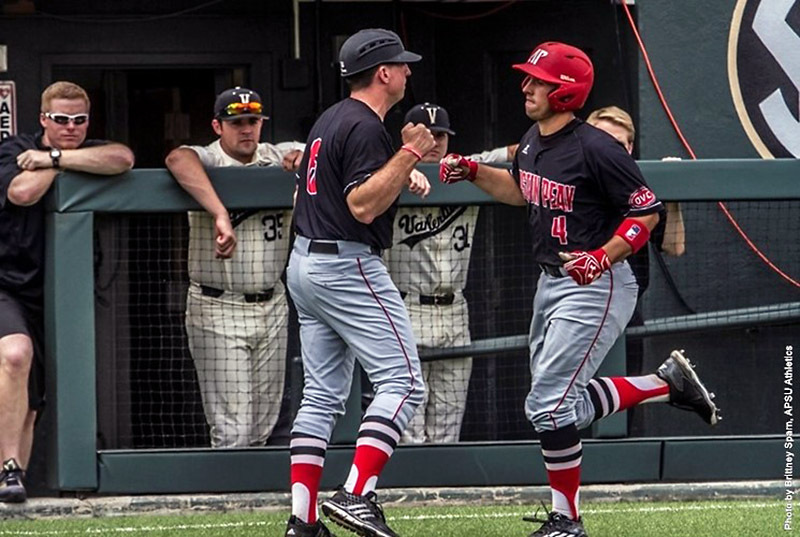 April 26, 2016 Archives - Clarksville Sports Network - Clarksville Tennessee's most trusted source for sports, including Austin Peay State University. Nashville, TN – Chad Pinder’s double scored Joey Wendle in the bottom of the ninth inning to give the Nashville Sounds a 7-6 win in walk-off fashion over the New Orleans Zephyrs in front of 4,695 fans at First Tennessee Park Tuesday night. It was a back-and-forth game that featured five lead changes between the two teams. With the game tied 6-6 to start the bottom of the ninth, Wendle hit a popup on the infield that fell untouched. Pinder got a 1-0 pitch from Greg Nappo and rifled it down the left field line. 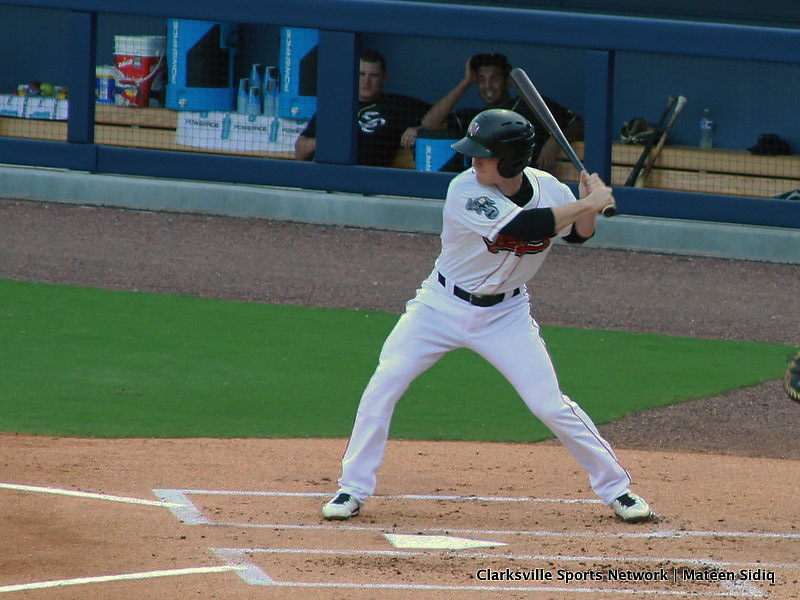 Wendle, celebrating his 26th birthday, scored just ahead of the throw to give the Sounds a win in the series finale. Nashville, TN – Second baseman Garrett Copeland and right fielder Chase Hamilton each hit home runs, but Austin Peay State University’s baseball team surrendered three late runs in an 8-5 loss to No. 8 Vanderbilt, Tuesday afternoon at Hawkins Field. Austin Peay (25-14) got off to a quick start as Copeland hit a leadoff home run on the game’s second pitch from Vanderbilt’s Donny Everett. 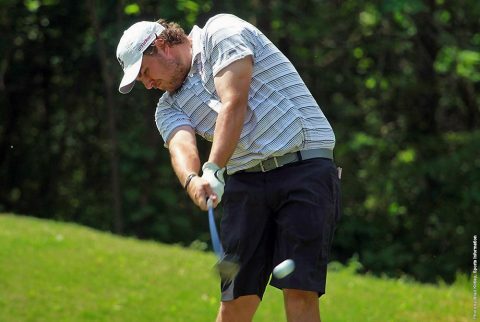 Muscle Shoals, AL – On moving day, Austin Peay State University men’s golf team didn’t quite moved in the direction head coach Robbie Wilson was planning. In fact, the Fighting Joe course literally left the Governors black and blue as they had seven blue numbers (double bogeys) and three black numbers (three or more over par) en route to a 310 total. Brentwood, TN – Junior Logan Gray, of the Austin Peay State University baseball team, was named adidas® Ohio Valley Conference Player of the Week, Monday, the conference office announced. 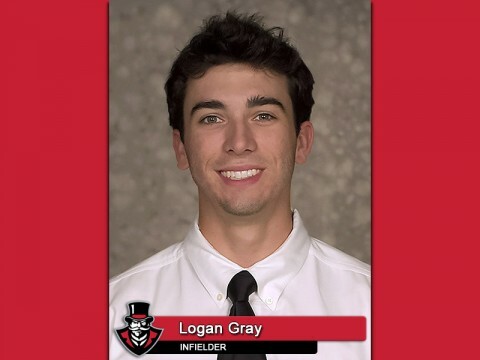 In addition, the Leawood, Kansas, native was one of six players named to the Louisville Slugger® National Player of the Week list and received recognition in Baseball America’s weekly “Off the Bat” report.